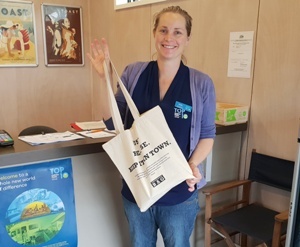 Martinborough’s supermarket, Pain and Kershaw 4 Square removed single use plastic bags in the middle of 2018. Most of our cafes offer reusable takeaway cups for sale and plastic straws are on the way out. Please support Martinborough’s efforts to become single use plastic free during your stay. If you’re shopping in Martinborough you can usually borrow a Martinborough Bag to carry your groceries home. Please keep these in town and drop back to reception before you leave.